Mark A. Orgel | Heartland Equity Management, LLC. Is Heartland Right for You? Mark Orgel is a Principal and Board Member at Heartland Equity Partners. Mark is the Chairman and Executive Committee member of Orgel Wealth Management (OWM), an investment advisory firm he founded in 2013. Over the past 34 years, Mark has maintained close relationships with clients serving as an investment advisor, portfolio manager, business consultant, and mergers and acquisitions specialist. 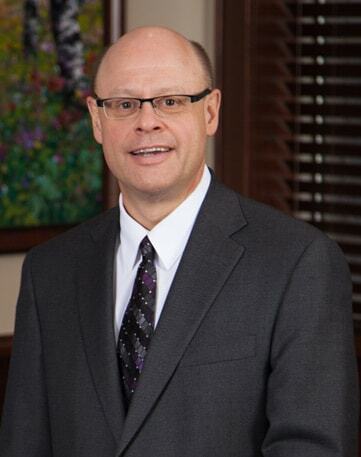 In addition to his chairman and board member roles, Mark served on the Bethel University Board of Governors for 20 years, acting as its Investment Committee Chair for more than a decade. Mark is also an advisor to several private businesses and healthcare organizations. Mark received a Bachelor of Arts degree in management and communications with high honors from Bethel University in St. Paul, Minnesota. As a lifelong resident of the upper Midwest, Mark has lived in Eau Claire, Wisconsin for over three decades with his wife, Tammy. Mark and Tammy have two children and three grandchildren. Mark enjoys travel, reading, outdoor activities, fly fishing, and quiet weekends with family and friends at the family lake home in Northern Wisconsin.